Three University of Oregon scientists will deliver the findings of a study on how rising carbon dioxide levels may impact the state at 1:30 p.m., Saturday, Feb. 22, during the 73rd annual meeting of the Oregon Academy of Science being held at the UO. The study, "Oregon 2100: projected climatic and ecological changes," will be described by Daniel Gavin, Gregory Retallack and Edward Davis in the meeting's keynote address, which is open to the public, in Room 100 of Willamette Hall. 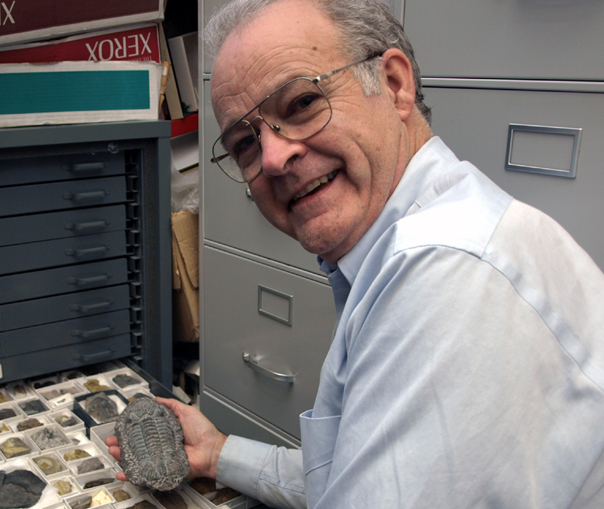 "Oregon has an extensive fossil record from a period when carbon levels were as high as they're expected to be by 2100," said Retallack, co-director of the Condon Collection at the UO Museum of Natural and Cultural History (MNCH) and OAS program coordinator. "These records help to validate computer models and to paint a picture of what the future holds." The Oregon Academy of Science, formed in 1943, is an affiliate of the American Association for the Advancement of Science. The UO's Samantha Hopkins, assistant professor in the Department of Geological Sciences and the Robert D. Clark Honors College, is the academy's current president. For more information, read "Climate change is keynote topic at Oregon Academy of Sciences meeting."